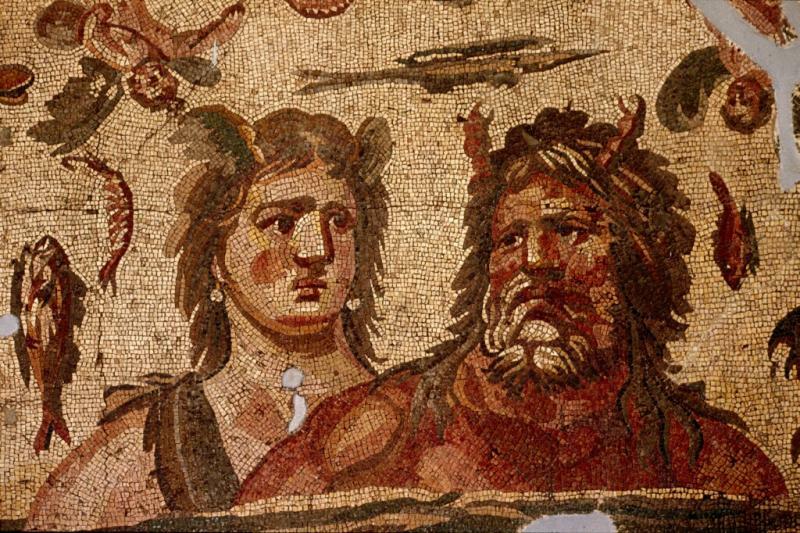 This is a mosaic called Oceanous and Thetis, inv. 1013. From Enc. Britt. : In Hesiod's Theogony, Oceanus was the son of Uranus (Heaven) and Gaea (Earth), the husband of the Titan Tethys, and father of 3,000 stream spirits and 3,000 ocean nymphs. In Homer's works he was the origin of the gods. As a common noun the word received almost the modern sense of ocean. The mosaic is from the fourth century AD and was found in Harbiye.